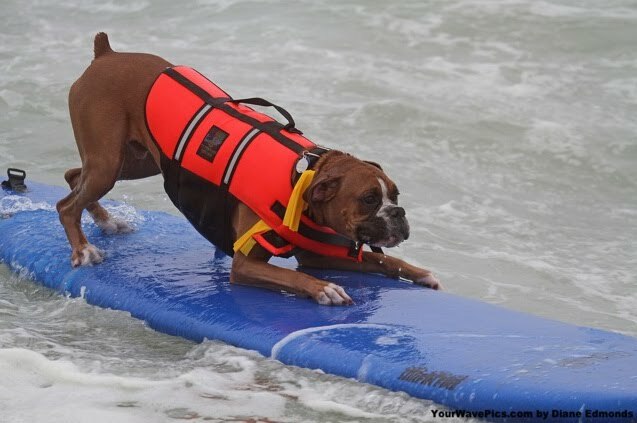 Canine Arthritis, Dog Joint Support--Dog Surfing Contest! Dog Surfing Contest---Sure looks like fun! Awesome pictures of active dogs with maximum agility. Keep your dog moving and happy. It is really important to give your active dog joint support EVEN IF THEY ARE NOT SHOWING SIGNS OF CANINE ARTHRITIS! Use Amazing Omegas and Arthrosoothe to help PREVENT hip arthritis, limping, canine joint stiffness and canine arthritis. By using dog joint support such as Amazing Omegas and Arthrosoothe, you are taking preventative pressures so that you will keep your dog healthy and active. Most of the time people wait until their dog is limping, showing stiffness in the morning and/or diganosed with canine arthritis. The products will still help, provide excellent dog joint support and can make all the difference but why wait until your dog is already uncomfortable? It is best to start young dogs on them early before they show signs of again and canine arthritis. To learn more about canine arthritis and dog joint support, click here.